The Kromski Weavers Choice Heddle really does give you complete control. You're not confined to a single size heddle to use on a thread-by-thread basis, as now you can choose exactly how to warp up your Harp loom. 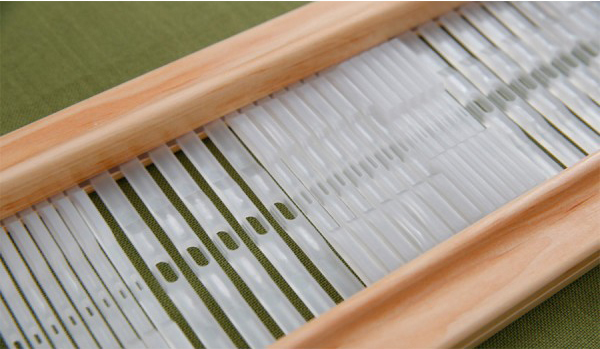 This ingenious piece of kit uses a variety of individual heddle pieces which can be snapped together, allowing you to use various warp thicknesses in a single piece of work. You can create your own configuration, perfect for your design. The set has everything you need to get going, including plastic heddles of 5, 8, 10 and 12 dent sizes. 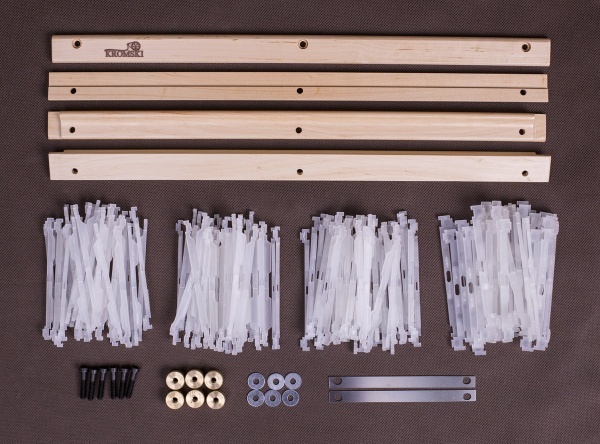 The number of pieces depends on the size of the looms, see below. Loom Width 8" 16" 24" 32"